Mark Occhilupo has arguably one of the best backsides in surfing, ever. This weeks UCB makes a victor of Kooky Kyle whom is getting yet again back on a roll with two wins in a row. If he gets a hat trick (three in a row) he will be awarded an extra half point. He suggested I right about the essence of the backside bottom turn. Since it is officially Rincon season I figured why not. Backside surfing is the proverbial double edged sword. Those who have it mastered are either goofy foots living in the northern hemisphere or world class surfers in general. Everyone respects a surfer with a strong backside. It’s the corner stone to solid surfing, the ability to go both left and right with out a care in the world. For me being a goofy foot born and bred in the mainly right dominated beach break of northern New Jersey backside surfing was never a consideration but just another instinct like breathing. The funny thing is I surf with so many people, especially here in Santa Barbara who always are hesitant to go backside. It seems too, that regular foots will always take a right over a left when they can find them, while a goofy will take a right over left at times. Personally I almost find it more enjoyable to have my back against the wall. Surfing backside allows me in many cases to fit better into the barrel and draw that picturesque backside bottom turn. The backside bottom turn may be the one of the most ascetic yet highly functional moves in surfing. I mean lets face it good backside surfing is completely based off your ability to get out in front of the wave any way. How is that done? The backside bottom turn. I find it to be one of my favorite feelings, next to getting barreled and doing a massive air. There is nothing like the way a perfect backside bottom turn rings home through your lions. The initial drop straight down in front of the wave pulling as far straight as you can before losing the wave. Then at the moment when it feels like all could be lost, make it or break it, you lean back on your inside rail with your back foot, un weight your front foot and all of a sudden with all the natural pull of the ocean and your body weight you feel the inertia of being catapulted back into the steadily crashing lip. 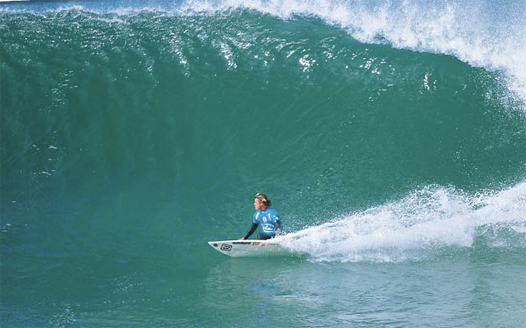 The size, length and shape of the wave will distinguish the extent and gnarlieness of the turn itself. After all you can do the best bottom turn in the world but if it does not amount to anything then it was all for nil. Its winter time now so for me it is finally back to nothing but long fast hard backside bottom turns for ridiculous amounts of distance at many of the various points around, but mainly reserved for Rincon. I love winter. Here is my lousy backside bottom turn.